rear yard terrace retaining walls and seat walls. Lighting in stone veneered walls. 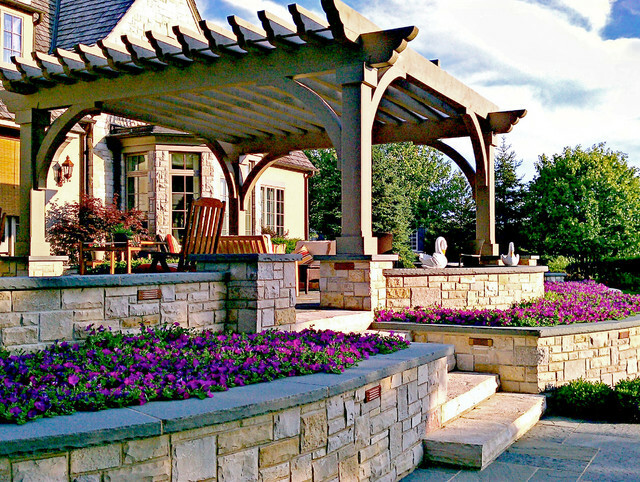 Pergola provides shade over terrace patio area.